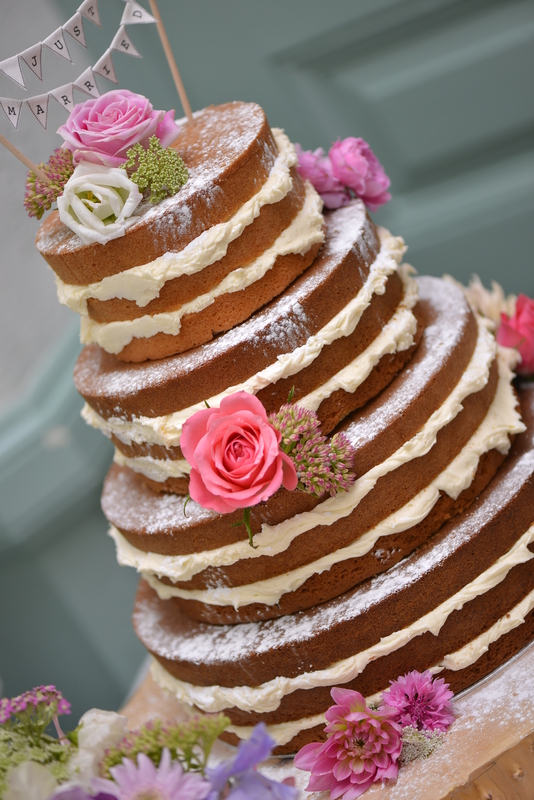 This recipe is for the 4 – tiered wedding cake that I made for my son’s wedding. I am sure this is a very adaptable recipe, so this is for your guidance only. 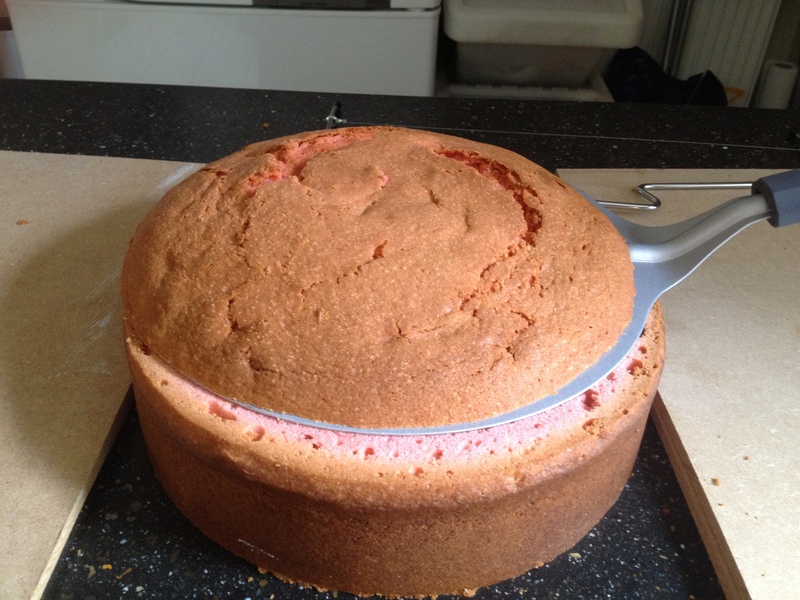 I apologise for mixing imperial cake tin sizes with metric measurements – but that’s just how we do things here! 10. Pour mixture into tin, pat tin down on worktop to remove any air bubbles and smooth top with a palette knife. 11. Bake in middle of pre-heated oven for desired time. When time is up, push a knife into the centre of the cake. If it comes out clean the cake is ready. 3. 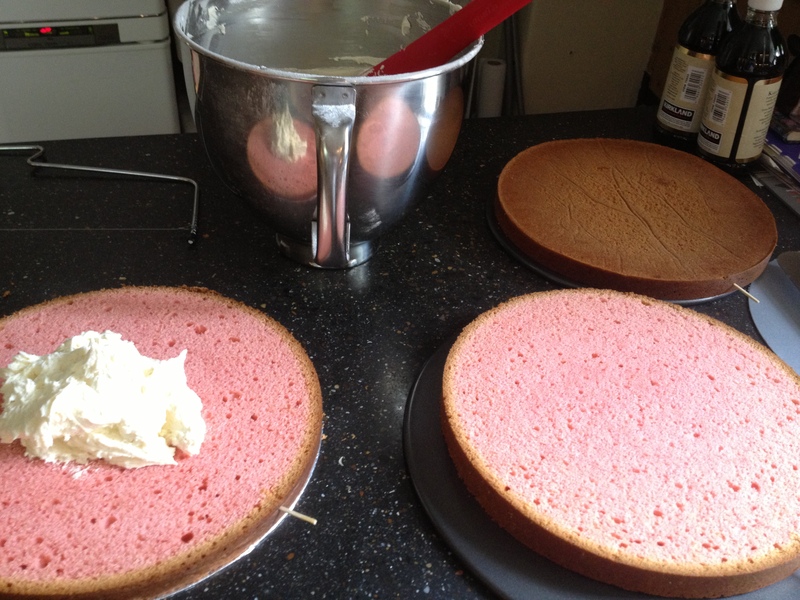 Gradually add the sieved icing sugar – warning this gets a little messy! You don’t need a food mixer or processor to make these cakes – they can be made by hand and a strong arm! When adding liquids, always add less than you think you should – you can always add more but it doesn’t work in reverse! 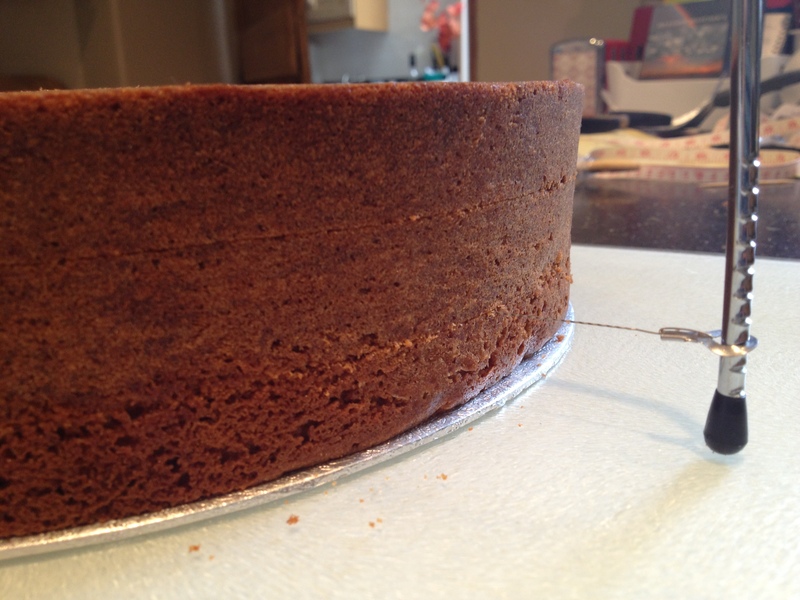 Once cooled you will need to cut the top off of the cake in order to get an even sized tier. You can do this with a large knife or ideally a cake wire. Once you have an even cake you can place the cake board onto the cake foil side down then turn the cake and board over. You will then have a completely flat surface as the top of your cake. You can cut the cake into three pieces using a cake wire or a knife (for a more rustic look), once you have cut three even pieces, add a cocktail stick to each piece in a vertical line. These will help you put the cake back together in exactly the same place (this is not completely necessary, it just gives a more even finish). Coat the bottom layer with buttercream then line the cocktail sticks up and carefully lay the second piece on top of the buttercream. Do the same again and add the top piece. You are now ready to dowel the cake if you are adding tiers, or just decorate this cake and enjoy! Hi, I am going to attempt to make this cake for my sons wedding, it looks great. Is the oven temperature for a fan or conventional oven? Also can you tell me how you managed to cut and serve pieces of cake that were three layers thick? If my cake turns out as good as yours I will be very happy. Thanks Ann. I hope you get on ok. I’d love to know how it goes – use my contact form and let me know your email address. For any advice (although it was a long time ago now!) and to let me see pics of your daughters cake! !